There’s a tool for every job. But sometimes an all-purpose tool doesn’t do the trick. 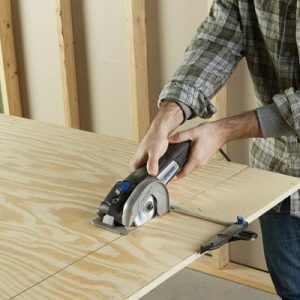 If you’ve been using a large, bulky circular saw, jigsaw, or miter saw to do all your cutting, or if you don’t want to buy a large saw at all, a miniature circular saw could be a great option to fill the gaps and are perfect for creating cut outs in tight spaces. Here you can see how the Dremel Sawmax and the Dremel Ultra saw, two of the most popular compact circular saws, compare to one another. We’ll be doing a head-to-head comparison on all the features and considerations that might affect your personal choice and preferences. In the next 35 seconds, this Dremel Ultra Saw Vs Dremel Sawmax comparison chart and buying guide will give you the information you need to make an informed buying decision. 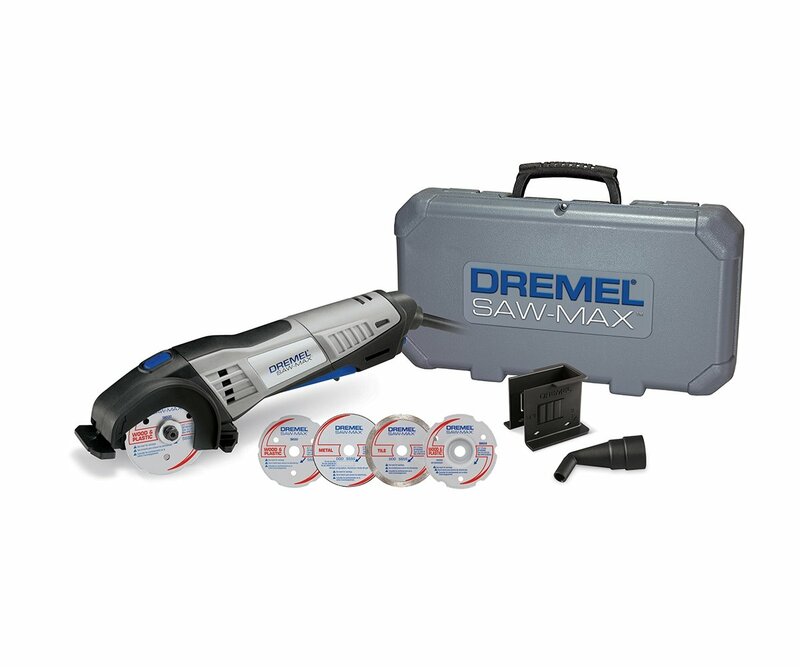 Both the Dremel Saw Max and the Ultra Saw are miniature versions of the traditional circular saw. They’re not quite as hefty as a full-sized saw, but they’re perfectly suited as small cutting tools. When you’re cutting in a tight space with limited mobility, or if you need a portable saw to carry around with you, they’re both good choices. 10 Second Summary: Both tools are exceptionally well made. The Ultra Saw offers more power, and upgraded drivetrain and more work capabilities including surface preparation, making it my preferred choice. Purchasing Tip: Each model comes with different configurations of accessories. I review the various kits and give you my suggestion on the best tool kits below. Note: Use proper eye, ear and nose protection when working with power tools. Inhalation of small particles is harmful to your health. Cannot reach the right corner well. Non-standard saw blades (3 inches) wear out quickly. In terms of power, the ultra saw is a clear winner. It runs with a more powerful 7.5 amp motor versus the 6 amp motor in the SawMax. 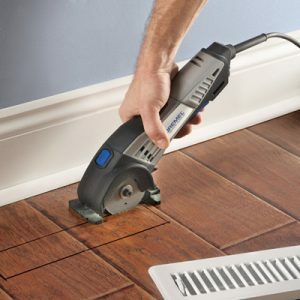 They are both corded electric saws and offer the same 3/4 inch cut depth. The Ultra Saw is the better choice if you need more power and faster cutting. The design of both saws is similar, making both of them sturdy to everyday use. They both use worm drive motors. However, there are differences due to the materials used to make each saw. While the ultra saw is made from primarily metal and is quite durable, the saw max has more plastic components, including the shoe and blade guard. While the plastic is not a problem for shortcuts or softer material cuts, it can become a hindrance if you try to do anything more. When cutting metal or stone, or when cutting for a longer period of time, the saw can heat up excessively and melt the plastic pieces. The melting may not permanently ruin the piece, but it can bend it out of shape and reduce the usefulness. The Ultra Saw has a metal wheel guard making it more resilient for long stretches of grinding and cutting. Both saws wear out their blades quickly, but the ultra saw is a much more durable model overall. Both saw are able to perform plunge cuts, straight cutting, and flush cutting. Although the blade of the ultra saw is 1 inch larger than that of the saw max, they both can only do plunge cuts to a depth of 3/4 of an inch. 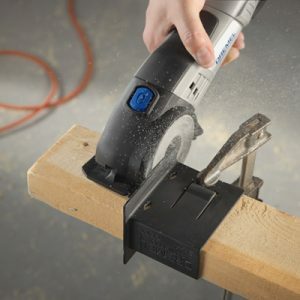 Dremel’s ultra saw is a true 3-in-1 tool with one added capability that the saw max doesn’t have. It can be turned sideways and used for surface preparation. This is handy for when you need to fix up substrate before laying a floor. The abrasive wheels work great for surface prep on metal (rust removal), tiles, masonry materials, concrete, and wood. The Ultra Saw also seems to be a slightly more professional tool and built for heavy duty use. There are fewer plastic parts and more metal parts on it. The saw max is said to be able to cut any construction material, from wood to concrete or tiles. However, it does present some issues when used to cut harder materials like metal or stone. It’s not necessarily a good choice for harder materials, but it does work well for softer things like wood, particle board, drywall, plastic, or wallboard. A Dremel Ultra Saw vs Saw Max face-off has the Ultra Saw doing everything and then some with a faster speed of cut, thanks to the larger motor.. It can handle stone and other masonry materials more easily, sheet metal or hollow metal poles and pipes, fiberglass, ceramic, and mortar. With the right blade installed, it’s highly versatile. If you’ve got a project using a material that’s a bit more difficult to work with, such as marble or metal pipe, you can still use a mini circular saw. The ultra saw is better at cutting hard stone like marble without damaging the stone itself, and it cuts metal easily with a cutting wheel. In both of those cases, you will need to take time to rest the saw between cuts to avoid overheating. Both saws are very easy to use. They can each be held in one hand, and the ultra saw can utilize an attachment to create a smaller two-handed saw handle for tough applications. Because of their small size, these saws are your go-to when you don’t want to set up a larger saw just for a small cutting job. 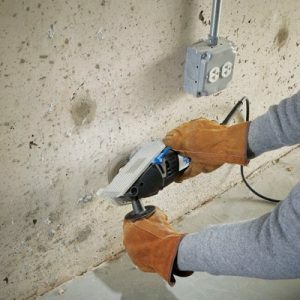 If you’re not very experienced in using power tools, these are great starter tools that are simple to understand right out of the box. When you’re making a long, straight cut, the ultra saw is better at cutting in a straight line than the saw max. Neither have any control devices to help you cut straighter, but the ultra saw’s more powerful cut prevents it from being thrown off by the material. Sometimes the saw max will get knocked off track if you’re cutting a harder wood or a grainy material. The Saw Max requires you to guess where you are cutting, but the Ultra saw offers a mark on the cutting guide to show you where the blade is cutting. This provides excellent line of sight and can help make it easier to get those straight cuts. The Dremel Sawmax weighs just under 3 pounds, while the Ultra Saw weighs around 4.6 pounds. Both are easy to carry around and use above your head, or while on a ladder. Cord length is the only real limitation for mobility, which is easy to overcome with an extension cable. The saw max is slightly shorter and easier to hold if you have a small hand. 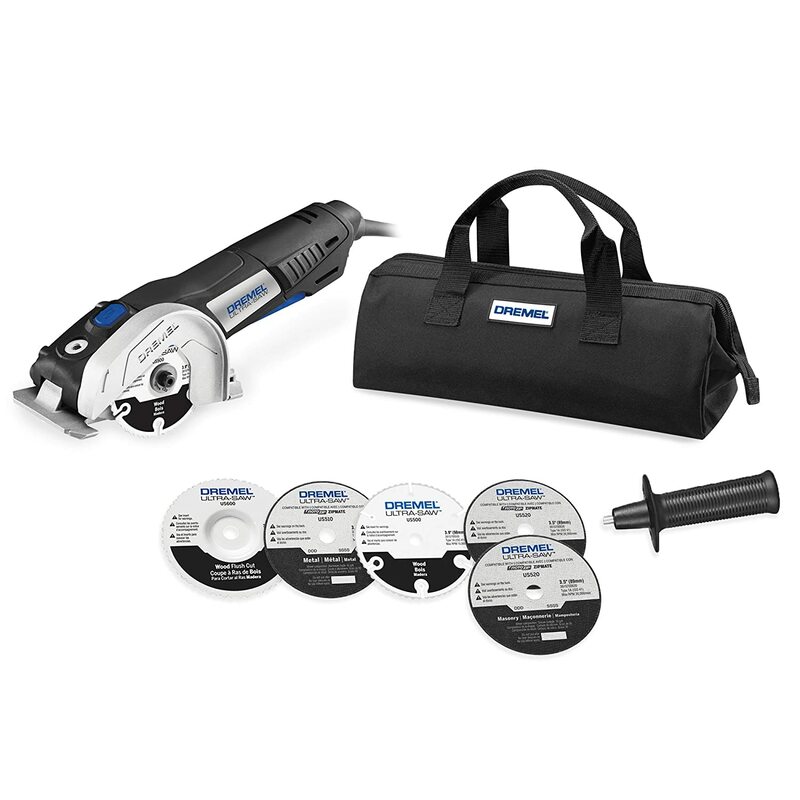 This one comes with a diamond surface prep grinding wheel instead of the masonry cutting wheel. I think this is the best choice for most households, unless you know that you are doing tile work. 1 US410 diamond surface prep grinding wheel. This one offers a masonry blade instead of the surface preparation wheel. This kit is the budget-friendly version that cuts out most of the accessories. It only has the wood and plastic blade. 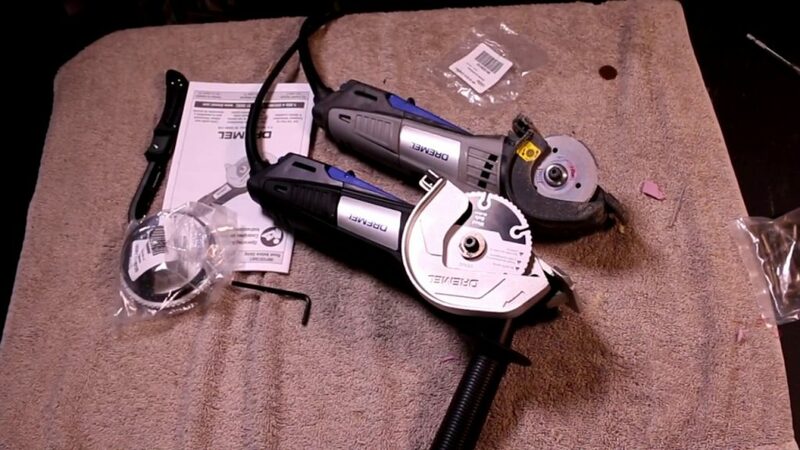 The Dremel Ultra Saw is a step up from the saw max in almost every way. However, if all you need is a small circular saw to do simple wood cuts or other soft material cuts, the saw max is not a bad choice either. When you want more power and a more versatile tool, go for the ultra saw. If you want a slightly smaller tool to help out with a few little DIY or construction projects, the saw max can be a good tool to reach for. Circular saws have been a central part of a construction or DIY toolset for years. Their versatility and strong cutting strength give you the ability to cut wood, metal, plastic, concrete, pipe, and more by just changing out the blade on the same saw. Corded and cordless circular saws are both common, with corded versions being the most powerful. Compact circular saws are a newer entrant into the hand tools market. In some cases, a full-sized circular saw may be too much to carry or too large to fit where you need to cut. They are ideal for cutting a variety of materials such as PVC pipes, laminate flooring and Drywall. Small compact circular saws are scaled down versions with the same design and abilities as a full-sized saw. They’ll generally have an extended handle to help you maneuver them more easily. Mini circular saws serve the same function as a larger saw. They can cut through a variety of sheet materials, depending on which blade you attach. With a mini saw, you can make straight cuts, flush cuts, and low depth plunge cuts. Because the blade size is smaller, your main limitation will the thickness of the material you can cut. Power is usually limited when compared to larger saws as well, making hard material cuts challenging. Despite their limitations, mini saws have a place in most tool collections because of their ease of use and versatility. Instead of reaching for the large two-handed saw every time, you can take your small handheld mini saw for most of the small-medium jobs and tight spaces. Hey! My name is Zachary Drumm! This site allows me to try these tools out, piddle around in the garage, and create fresh content for you. 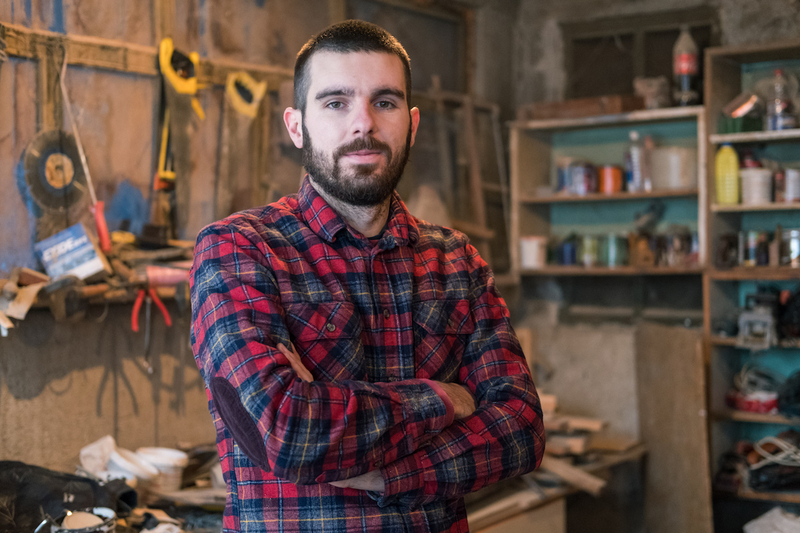 When it comes to tools, home improvement, and being a "shade tree mechanic," you've come to the right spot.